Manufacturing, Trading and Exporter of Gates, Doors And Shutters. Nirmal Automation Pvt. Ltd. established in the year 2011 one of the leading manufacturers, trader & importer of a wide variety of Gates, Doors and Shutters. The enthusiastic support shown by our professionals has led us manufacture products that are in compliance with their specific requirements. Our quality controllers conduct tests on every product to ensure optimum functionality. We understand that you are in continuous requirement of various stationery & printing materials for your esteemed organization. The door systems are easy to install and maintain while providing controlled access. Quality conscious approach, wide distribution network and timely delivery have given us an edge over the other leading organizations. 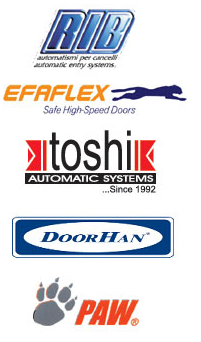 Under the leadership of our founder, we have been able to enhance and diversify our range of door systems. His industry experience as well as rich process knowledge has enabled us to reach to the heights of success. We are majorly looking for enquirers from Maharashtra. The organization is efficiently led by our chairman, 'Mr. Jitendra Salunkhe' under whose able guidance we have managed to carve a niche for ourselves in a very short span of time. A dedicated team of employees meticulously works to manufacture the finest quality of automatic doors. Commitment, Continuous improvement & the pursuit of excellence are the values that guide us. We have a spacious infrastructure which encompasses in-house design unit, manufacturing unit and quality-testing unit. Our manufacturing unit is spread across a sprawling area and is well equipped with sophisticated machines and facilities that ensure the expansion of our production process. We have CAD/ CAM facility at our in-house design unit, which assists us in developing a qualitative and functional range of Sliding and Swing Door, Barriers, Shutters and others. Moreover, we make use of qualitative packaging material to ensure the safety of the products during transportation. The expertise of our professionals has enabled us to establish a significant position in the industry as a renowned manufacturer of gates, doors and shutters. Our team members work in close co-ordination with customers that help us in incorporating client’s requirements. Our team comprises experienced technical and mechanical engineers, machine operators, quality controllers and marketing experts. Our quality controllers maintain a strict vigilance over the entire range of doors and shutters and use latest testing facilities to ensure our range is manufactured in compliance with the international quality standards.